The first local organization I chose is called, “Adhikaar”, which is a Nepali word meaning, “Rights”. This non-profit organization helps Nepalese speaking community in New York City to promote human rights and social justice. “We provide a safe environment for Nepali-speaking women, men, and children to convene, creatively solve problems, and share victory stories.” (Adhikaar, 2013). As being Nepali and wanting to help in the field of the early childhood education, I see myself being a part of this non-profit organization in my community in Queens, New York by volunteering in giving workshops in parenting and understanding bi-culturae concepts for the families from Nepali to exists in mainstream culture. Please check out their website and get more information. United Nation International Children Emergency Fund. 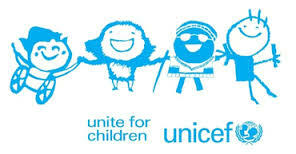 When I was in Nepal, UNICEF was an organization that helped and has a prestigious name in the third world countries. UNICEF has served for 7o years for every child. Their priorities are all related with children such as HIV/AIDS children, Child Survival and development, Policy advocacy and partnerships, basic education and gender equality, Child protection and more (UNICEF). I have chosen UNICEF as it is a perfect example of communities of practice, and people from various professional background bring their knowledge, expertise and passion to solve a common mission of helping children. I have always wanted to work for nonprofit international organizations and UNICEF has been one of my first priority. The U.S. Fund for UNICEFs seeks talented individuals form all backgrounds to join their fight for child survival. They have online job application that I have fill and I can also become a volunteer in various fields in UNICEF. I think the adhikaar program/organization sounds amazing! I think it is really neat you have such a awesome resource in New York to help people. I feel sometimes there are not enough programs to help those who struggle. As we have learned in previous classes, if we want children to be successful we need to make sure all their needs are being met, even the most basic needs. I wish you nothing best the best as we continue throughout this class working on our projects! I agree with Abby. adhikaar program sounds cool. One of the postdoctoral students in our lab is moving to New York City as she got a teaching college at Barnard. Her research focus is studying languages of deaf Nepalese. I will tell her to look up the adhikaar program. She might like to volunteer to work with Nepalese people in New York City. Hi! Marla, that sounds great. Please let me know if I can be of any help. I am close to Adhikaar and the Nepalese community. UNICEF does such inspiring work and I would love to work for that organization. What could be better that doing meaningful work to save the lives of children--our future! How can children be successful if even their basic needs like food and water are not being provided.